Penicuik Athletic boss Johnny Harvey says switching to the East of Scotland League is an exciting time for the club and the start of “something special”. Cuikie were one of 24 junior sides from the east region to join the senior pyramid at the end of last season. Harvey concedes it wasn’t an easy decision to make, with the club being divided in opinion when it came to the big decision to stay or go. However, with the new season on the horizon with Cuikie drawn in Conference A, Harvey insists it was the right move for the club and believes it is a great time to be involved. He told the Advertiser: “I think it’s an exciting time for the club, the East of Scotland League. “It’s new, it’s fresh, and it’s a bit more interesting. “The good thing is that we’ve got something to play for at the end of the league campaign, the progression to the Lowland League. “There’s a lot more structure than in previous years too. Taking a look at it, it’s not just on the park that it’s an exciting time for the club – it’s off it too. 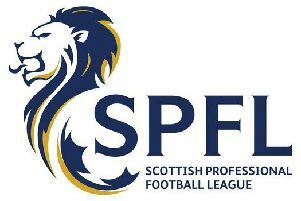 “To play in that Lowland League you need to make significant ground improvements to meet the criteria as well as improvements on the squad to compete. Harvey underlined the important role the community has in playing their part too. He said: “On the community side of things it gives the town and local area a chance to buy into the club a bit more and maybe take more of an interest in us and give us a better turn out on a Saturday. Not only can the step up be beneficial to the club itself but Johnny Harvey is a young manager with a rising stock that senior clubs are bound to take notice of. Harvey though has only one thing on his mind. He said: “The soul thought and job in hand is for Penicuik and Penicuik alone. “I can’t predict what’s going to happen but what I can say is if Penicuik’s ambitions and goals are on the same level as mine in trying to progress to the lowland league, then that will keep me perfectly happy here. “I don’t see the need to go anywhere, especially if the community are buying into it. "I do think we’ve assembled a squad good enough to reach that target of reaching the Lowland League at the first time of asking but its down to the players now to go out and show that. “I’m enjoying the challenge and I hope the players are too, and I’m really enjoying the management.